A meditation retreat focusing on instructions for entering, developing and revealing our natural pristine awareness through the path of Great Completion (Dzogchen) within the tradition of the Drikung Yangzab. Please also join Lama Mark on October 11th in celebrating the memory of the Ven. Dorje Namgyal Rinpoche through the bestowal of the White Manjusri wongkur and instructions on its glorious practice. He will also give teachings and essential instructions on the view, meditation and conduct as taught in Dzogchen. Essential instructions on view, meditation and conduct as taught in Dzogchen. Lama Mark will begin teaching at 7:30pm on Saturday the 8th and ends at noon on the 15th. We are asking that participants arrive between 9-12pm on the 8th to settle in before the teachings. A lunch will be served at 12:30. Rates include single accommodation and all meals. A travel and course materials fee of $150.00 will be added to the costs of accommodation and meals. Please note: the course fees do not include teaching fees. Dana for the teachings will be collected at the beginning of the course. Non-members: is necessary to hold your space upon registration. Members: is necessary to hold your space upon registration. Full payment is due 10 days prior to the course, September 28, 2016. 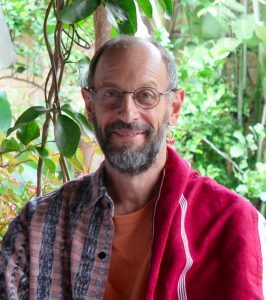 Donations for Lama Mark Webber: Teachers give the teachings of awakening (Dharma) freely so that anyone, no matter their financial means can attend classes. Each time one receives teachings, it is an opportunity to consciously practice generosity. Giving money and other means of support expresses gratitude and support to the teacher and helps to ensure that these teachings continue. Each person receiving Dharma teachings determines the kind and amount of Dāna according to one’s heart and one’s financial means. When deciding how much to offer, one should think about what these teachings mean to you and try to give accordingly. It is recommended that students make an offering of dāna at the beginning of a class or retreat to establish the intention to make the most of this opportunity for one’s own progression and for the benefit of all others.